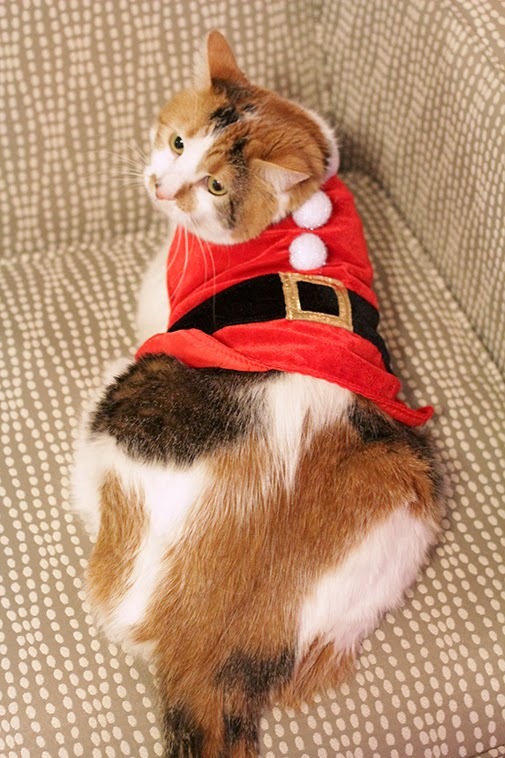 Project Denneler: Does this Santa suit make me look fat? 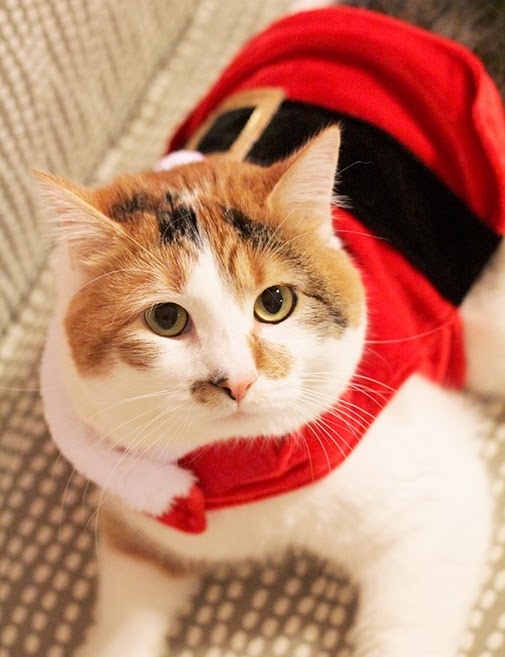 The kids bought a Santa suit for our cat this weekend at the PetSmart. Needless to say, it's a little snug. 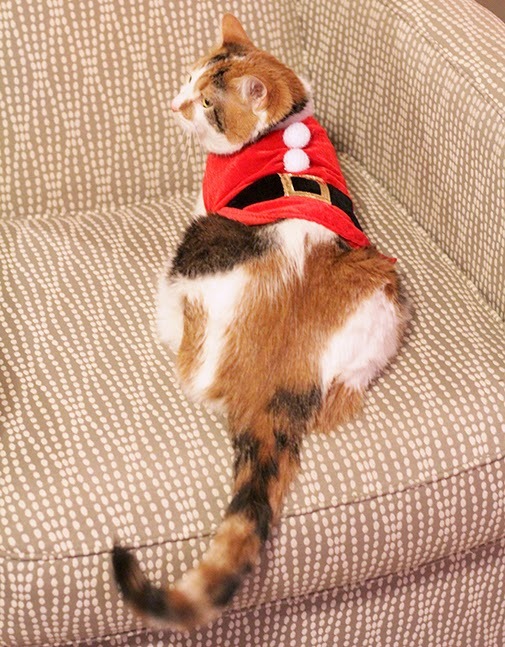 Our Fa-la-la-la-la la-la-la Feline is gonna have to start cutting back on the eggnog.